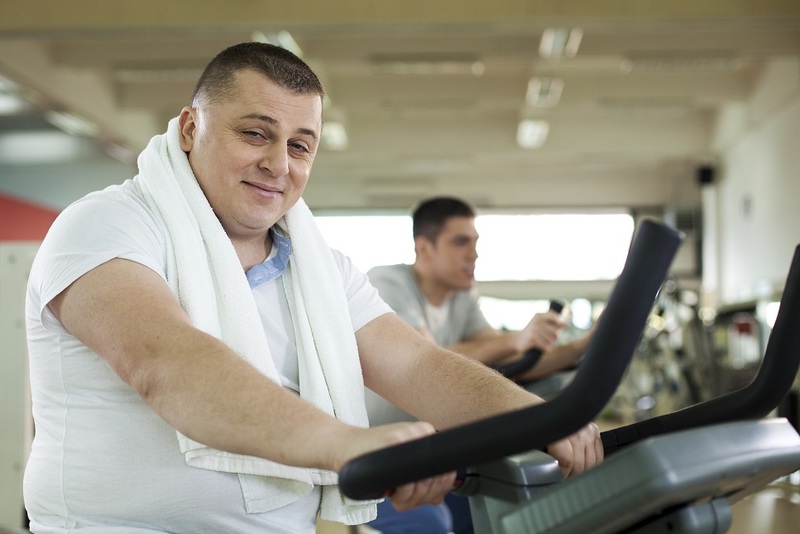 Sometimes working out in the gym can seem difficult if you are out of shape and/or not fit. It can become a bit discouraging at times seeing already fit individuals making everything look so easy. Finally, I came to the realization that my increased sweat and fatigue will provide me the confidence needed for my own success. I therefore focus on and obtain personal fitness goals while having fun making others look up to me for their own inspiration. Making fitness goals and scheduling an exercise routine decreases the power of doubt for success. It can be discouraging at times seeing the fit person run for what appears to be miles on the treadmill when it is difficult for me to run only a quarter of a mile. Focusing on my own fitness routine allows me to concentrate on my personal goals and ignore insecurities. Achieving daily fitness goals assists in building of my confidence and achievement. With daily fitness goal achievement, my confidence is enhanced considerably and I feel great! A key to confidence is finding equipment that allows a challenging workout as well as a fun workout. Enjoyment of exercise assists with my success. The challenge of mastering my workout and equipment gives me great pleasure. I love to get looks from others that question how I could possibly be smiling or having fun during intense workouts. With success, my doubts and worries leave and with every step of confidence my goals are achieved.